Situated in the heart of Aurora this quaint classic bungalow offers an amazing platform for a buyer with vision and this is not a home you will want to pass up! The home offers a charming appearance with large spacious floor plan, the perfect combo! There are 3 nice sized bedrooms, large open living room which offers tons of natural sunlight, full unfinished basement and a deep lot with 2 car garage! 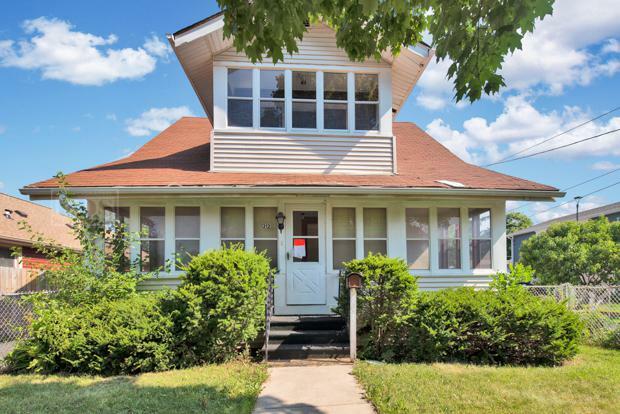 The home is located in one of the more sought after area of Aurora, within walking distance of Rollins school and blocks from downtown Aurora. The home is being sold as-is, all information is estimated, taxes pro rated at 100% and the buyer will be responsible for survey! Sold by Crosstown Realtors, Inc..